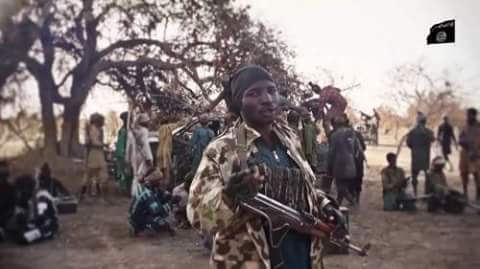 Shuibu Moni, a Boko Haram commander who was freed in exchange for some 82 kidnapped Chibok girls in a deal facilitated by the Swedish government last May has issued fresh threats against the Nigerian state. A video exclusively obtained by Saharareporters shows Moni and some members of his team displaying firepower in Sambisa forest. 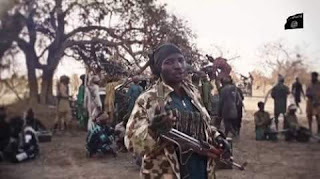 Moni, who spoke in Hausa and Arabic stated that contrary to claims by the Nigerian government that Boko Haram fighters have been chased out of Sambisa forest in Borno state, they (Boko Haram terrorists) remain firmly on ground. He subsequently threatened to unleash further violence on Nigeria in coming days. Moni made no mention of the recently kidnapped Dapchi school girls. the girls are believed to be in the custody of another faction controlled by Abu Musab al-Barnawi, the splinter group recognized by ISIS.